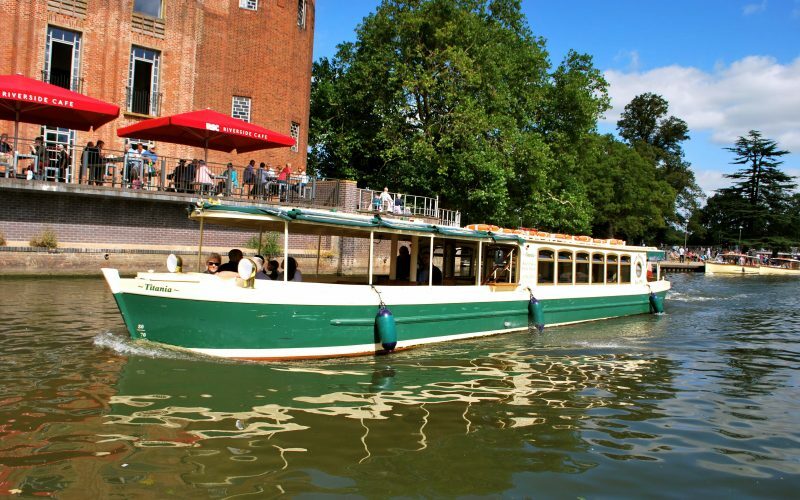 Our famous fleet of traditional vessels take you on a sightseeing tour on which you will enjoy stunning and unique views of the Royal Shakespeare Theatre and Holy Trinity Church as well as experiencing the tranquility of the countryside, which the river Avon passes through as it winds its way towards Alveston. This is one of the most naturally beautiful and un-spoilt stretches of navigable river anywhere in the U.K so come and enjoy it aboard some of the country’s finest Edwardian passenger vessels. Public Cruises operate from Mid March to the end of October. Cruises can be boarded from the Bancroft Gardens everyday throughout this period with a boat available to board every 20-30 minutes, weather and river conditions permitting. 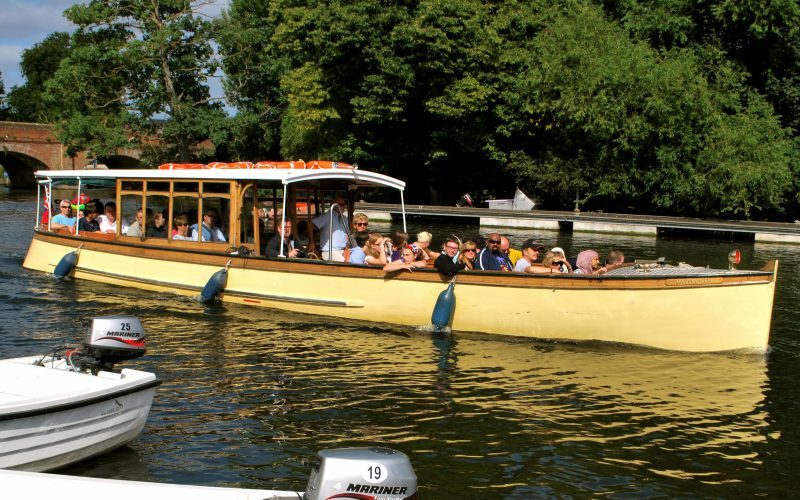 During peak periods, we also operate from our Boathouse on Swan’s Nest Lane. If you have booked a private charter either location can be used for boarding, depending on what is most convenient to you. Our fleet used extensively for public trips are electric powered, meaning they are quiet and vibration free and a more enjoyable experience for all onboard. Our boats are zero emission and are therefore kinder to the river and its wonderful ecosystem. Public Trips from the Bancroft gardens next to the Royal Shakespeare Theatre. Hire one of our fleet of passenger launches with crew for your own private use.